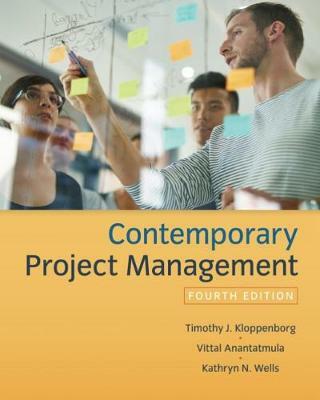 Learn to master the most proven methods in project management as well as exciting new techniques emerging from current industry and today's most recent research with Kloppenborg's CONTEMPORARY PROJECT MANAGEMENT, 4E. This edition introduces time-tested manual techniques and progressive automated techniques, all consistent with the latest PMBOK© Guide and standards and integrated with Microsoft© Project 2016. The book's focused approach is ideal for building strong portfolios that showcase project management skills for future interviews. All content is consistent with the knowledge areas and processes of the 6th edition of the PMBOK© Guide to give you an advantage as you prepare to become a Certified Associate in Project Management (CAPM©) or Certified Project Management Professional (PMP©), if desired.